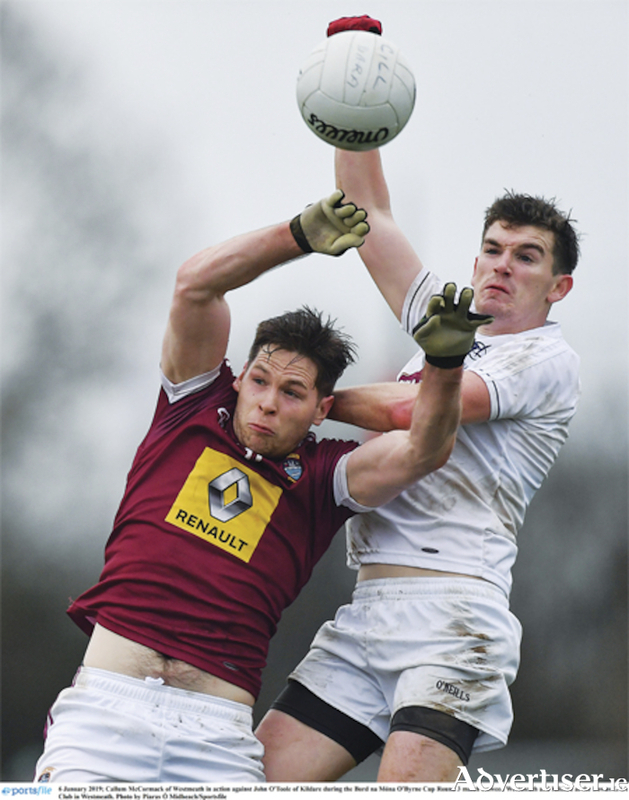 Westmeath maintained their unbeaten start to their competitive season with a six point success over Kildare in their final O'Byrne Cup round robin fixture, in the process securing a home semi-final fixture against neighbours Longford this Saturday afternoon. In what was a measured performance, the Lake County emerged victorious, despite trailing by the minimum at half time. With both teams still adapting to the new rule changes, play was not as free flowing as expected throughout, but once Jack Cooney's charges goalled in the early stages of the second period, confidence spread throughout the team and allowed the maroon and white push on for a deserved victory. A possible return to the final is now at stake and with a local derby looming this weekend, Cooney and his management team will be intensely eager to attain a place in the ultimate fixture. An undefeated Longford team will provide the opposition in a game to be played in The Downs (both teams boasting an identical record upon the conclusion of their group fixtures ), but with a winning mentality now beginning to seep through the Westmeath squad, the maroon and white, with home advantage, will aspire for Saturday success and an O'Byrne Cup final place.